Rowley: Luke Reiniger, 11, participates in the "shuttle run with hoops" Thursday at the Pine Grove School in Rowley. 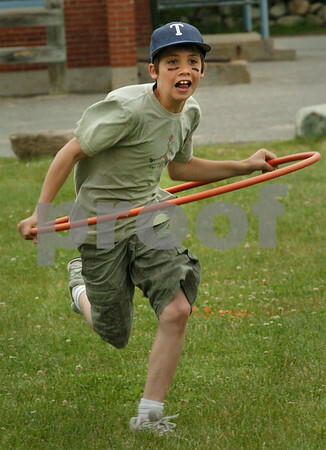 The whole school was having its annual Field Day events. Bryan Eaton/Staff Photo Newburyport News Thursday June 11, 2009.